Mercola.com Guest Post: Contaminating Your Body with Heavy Metals?! Your body has the natural capacity to detoxify toxins. However, with the growing number of toxin sources in the environment, your body’s natural detoxification function can become overworked. One of the most common sources of toxicities is the food you eat, and according to reports, fish is among the top sources of contaminants. While fish are an ideal source of animal-based omega-3 fats and other nutrients, many sea species are laden with high concentrations of toxic metals, including arsenic, mercury, lead, aluminum, and cadmium, because of industrial activity. Once inside your body, heavy metals accumulate inside your soft tissues. Prolonged exposure to these chemicals can cause neurological problems, damage to your blood vessels, and abnormalities in your heart. What Types of Fish Are Most Prone to Contamination? Unless you can verify their origin, it’s best to stay away from these species of fish. This is especially true if you’re pregnant. Exposure to heavy metals in utero can cause abnormalities in the growing fetus. Studies have seen high levels of dangerous chemicals, such as PCBs, dioxins, toxaphene, dieldrin, and mercury, in farmed fish than in wild fish. In fact, it was revealed that farmed salmon is a major source of PCB exposure. It may seem that fish farming is an effective solution to the contamination of waterways and deteriorating quality of fish, but there is reason to avoid its fish products. Like factory-farmed meat, farmed fish are fed antibiotics to stimulate their growth and enable them to fight diseases. Consuming them exposes you not only to dangerous chemicals, but also to low doses of antibiotics. Excessive use of antibiotics in the fish industry has caused the birth of antibiotic-resistant strains of bacteria. Farmed fish are also fed synthetic hormones and chemicals to make them look fresh. Salmon are often fed a laboratory-developed antioxidant to give them an orange color. It is better to consume wild-caught fish than farmed salmon. It is best to investigate the fish source first before you purchase. Toxic contaminants that can find their way to your body come not only from fish, but also from personal hygiene products, chemical cleansers, or even from environment itself. They make it highly important for you to support your natural detoxification system. Spirulina, a type of one-celled freshwater alga, can aid in assist in detoxification. It is also over 60 percent protein, making it an ideal source of essential amino acids. Additionally, it contains high concentrations of chlorophyll and iodine. Another alga similar to spirulina is chlorella. While chlorella does play a role in detoxification, it possesses a hard cell wall that is indigestible to humans (therefore it is important that you use chlorella with a broken cell wall). Chlorella also contains high-quality protein and chlorophyll. When using organic spirulina and chlorella, it is important to start with small doses, as your body may go through an adjustment phase. Supporting your digestive health is another way to keep your detoxification function working smoothly. Avoiding processed foods and increasing your intake of fermented foods can help. Kimchi, a fermented vegetable dish, not only provides numerous vitamins and minerals, but it has been found to aid in detoxification. Water can also help you detox. But when unfiltered, it can be a source of toxicity. Investing in a highquality water filter system is a way to remove dangerous contaminants such as heavy metals, fluoride, pharmaceutical drugs, and disinfection byproducts (DBPs) from your water. Adrienne R. has written articles about proper nutrition. She likes reading the Mercola website. Currently, she is researching methods to avoid heavy metal contamination, including foods related to detoxification like organic spirulina. 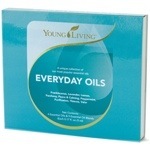 I am sharing a story on the Young Living Essential Oils that I had a wonderful experience to see work wonderfully. Yesterday while at my healthy.BEing office, one of the ladies in the adjacent office was struggling with a serious case of hives for several days. At this point, the hives were breaking out on some part of her body varying in location. She was struggling with a rash of reddish, raised spots and uncontrollable itchiness that moved over her whole body. So, I reached for my Young Living Everyday Essential Oil Collection (Lemon, Lavender, Peppermint, Frankincense, Thieves, PanWay, Purification, Peace & Calming, and Valor), that I carry in my Doctor’s bag at all times. First, I put some Frankincense on her, which calmed it down for a couple of minutes, but it started coming back. While witnessing her serious discomfort I searched for a recipe that will help her the best I could and as soon as possible. 12-15 drops of Peppermint Oil and mix it together. We used a paper towel, but you can use a cotton wash cloth, and soaked it in the Essential Oils mixture that she applied to her body, first arms and legs where the rash and itching was the most severe at the time. Within seconds, she sighed in relief because it “took away the itching, felt cooling, and energizing!” She was one happy girl! Even almost 2 hours later, she was still feeling great and was happy to show a decrease in redness and rash with almost all itching being gone. Be Healthier for the New School Year! A number of factors affect the immune system for adults and children each day. With the beginning of the school year, it is really important to keep your children and yourself healthy. No one wants to worry about having a sick child or a family member at home, but as the weather changes into fall, more time is spent indoors, and stress increases, it is essential to boost your immunity and stay healthy all year round. Eat more Green. You’ve heard it from me many-a-times, and many others, that keeping a plentiful intake of greens, vegetables and fruits, is important to promote immune health. Try some mushrooms (shiitake, maitake and reishi), which contain complex carbohydrates, the beta-glucans, that enhance immune activity against infections and reduce allergies, a common inappropriate immune system activity. Use plenty of garlic, ginger, cinnamon, turmeric, echinacea, and ginseng in your cooking, which have anti-inflammatory and anti-microbial properties. Also remember to eat sufficient protein, and not just meat! Nix the sugar. Avoid eating a lot of processed foods and liquids with added sugars and artificial ingredients, such as aspartame, BHT, TBHQ, artificial food coloring, etc. because all of them suppress the immune response in the body. Stock up on vitamin C. Seek out citrus fruits (oranges, grapefruit, lemon, lime, etc. ), dark green vegetables, bell peppers, berries, kiwi, papaya, mangoes, tomatoes, and more. Get your vitamin D. Vitamin D helps facilitate the anti-inflammatory process and fights infections from invading bacteria and viruses. Go outside for 15 minutes each day for a little bit of sun exposure. 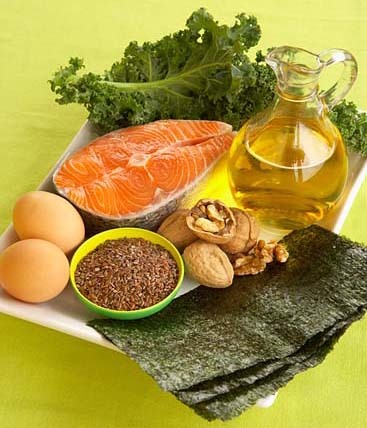 Also, maintain a diet that includes a lot of omega-3-rich foods, such as fish, mushrooms, and eggs. Pick elderberry. Elderberries support the immune system and are a great source of vitamins C, A, and B6, and minerals iron, potassium, and calcium. The elderberry extract can help you recover from the flu within 2-3 days days, as shown in a double-blind study. It is also the second-highest antioxidant fruit. 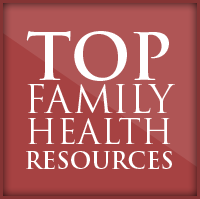 Staying healthy and happy at the beginning of the school year set your WHOLE FAMILY up for success! Exercise. Move your body, period! Walk, run, do yoga, pilates, stretching, weights, or any other form of exercise to get your blood pumping, your heart rate up, your breathing accelerated, and relieve the stress and tension. As a result, it will help enhance your immune function. Don’t forget to have some fun either with some of the winter activities. See your chiropractor. Chiropractic adjustment helps maintain a well-functioning nervous system by aligning the spine, which helps keep the immune system at an optimum level to fight illness. Get some sleep. Getting 6-8 hours of sleep each night is imperative to allow the body to rest and repair itself from the daily activities. Lack of sleep can activate the stress response with elevated cortisol and adrenaline levels, depressed immune system function, and create inflammatory response in the body. So allow your body to repair and integrate itself each night! Stress less. The stresses of the holiday season can actually weaken your immune system by increasing the levels of adrenaline and cortisol in your blood stream. Long-term, chronic stress can create lasting effects on the body, making a person hyper reactive to inflammatory and allergic reactions, such as allergies, asthma, and autoimmune disease. Psychological stress also make a person more susceptible to the colds and viruses. Try countering stressful situations with exercise, yoga, spending some time outside, relaxing in the quiet, meditating, or even breathing deeply. Make friends. An active social life can help you stay healthy and live longer. The same counts for the furry friends because you are more likely to get outside and exercise. So use this opportunity to visit some family and friends, make plans to get together, and get out and enjoy yourself! 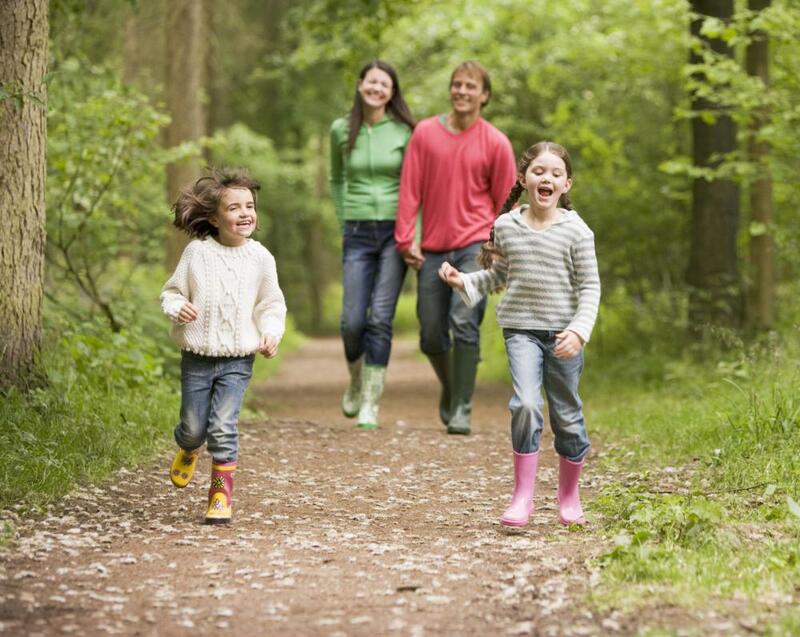 Increasing your immunity throughout the year will help you and your family have fun and stay healthy!